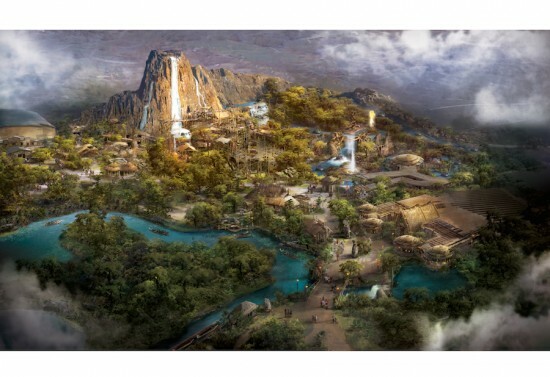 Disney has finally revealed a first full look at the new lands, attractions, and shows that will fill Shanghai Disneyland when it opens in spring 2016. 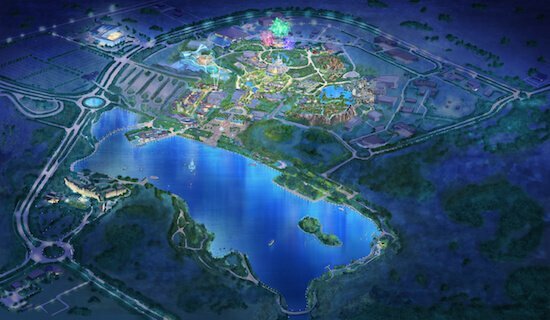 This new park will arguably be the most unique in the world, embracing local Chinese culture while debuting brand new experience seen nowhere else. 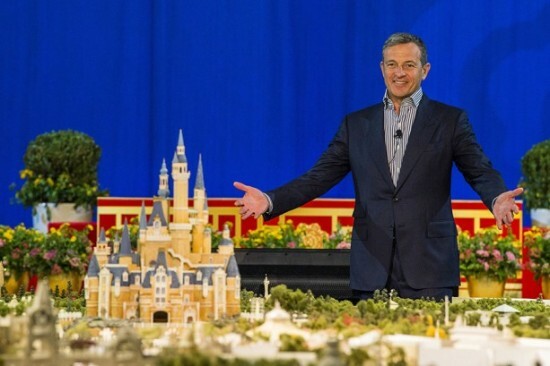 Disney chairman and CEO Bob Iger unveiled the new details on Shanghai Disney Resort tonight, outlining plans for six themed lands: Tomorrowland, Fantasyland, Treasure Cove, Adventure Isle, Mickey Avenue, and Gardens of Imagination. Mickey Avenue will be the character-inspired entry to the park featuring plenty of photo ops and shopping. 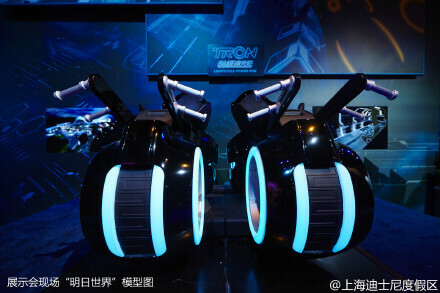 Tomorrowland will feature two main attractions, TRON Lightcycle Power Run and Buzz Lightyear Planet Rescue. 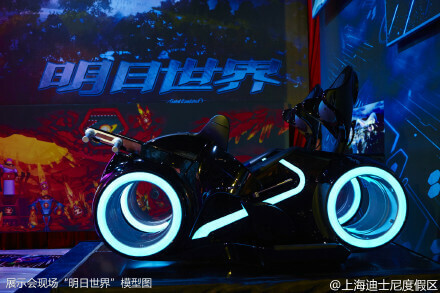 TRON Lightcycle Power Run will be a new coaster-style ride where guests will zip through the grid on two-wheeled Lightcycles. 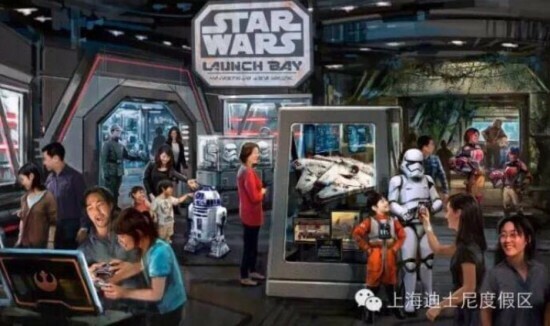 Nearby Tomorrowland will be two experiences created especially for Shanghai Disneyland – Star Wars Launch Bay and Marvel Universe. Star Wars Launch Bay will include set pieces, props and memorabilia from Star Wars: The Force Awakens along with characters. In Marvel Universe, guests attend a multimedia mission briefing on the world of Marvel, get up-close with some popular Marvel Super Heroes and take on the role of comic book artist as they learn to draw some favorite characters. 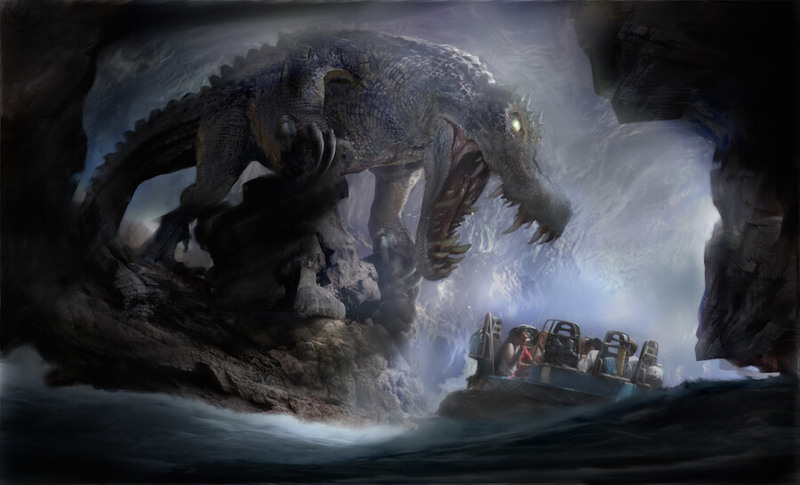 Adventure Isle is a new take on Adventureland, featuring the Roaring Mountain, Camp Discovery, Soaring over the Horizon, and Roaring Rapids which will feature a massive alligator-like creature. 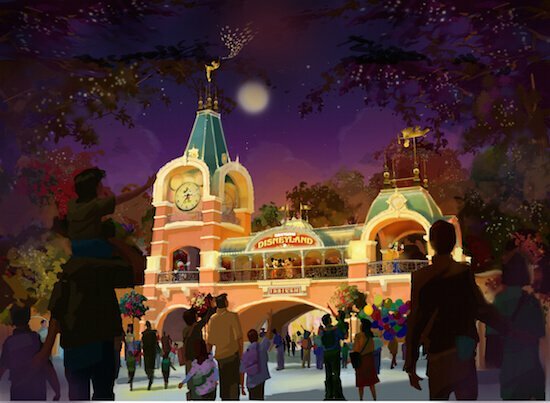 Fantasyland will feature Enchanted Storybook Castle, Voyage to the Crystal Grotto, Seven Dwarfs Mine Train, and Peter Pan’s Flight rides as well as a chance to wander the Hundred Acre Wood with Winnie the Pooh and explore a Wonderland maze. Treasure Cove will be an entire land themed to Pirates of the Caribbean, including the new high-tech Battle of Sunken Treasure ride. 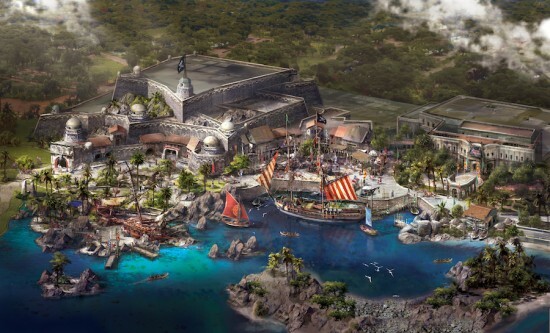 Also included in the land will be a chance to board a pirate ship, boat on Explorer Canoes, and eat at Barbossa’s Bounty. 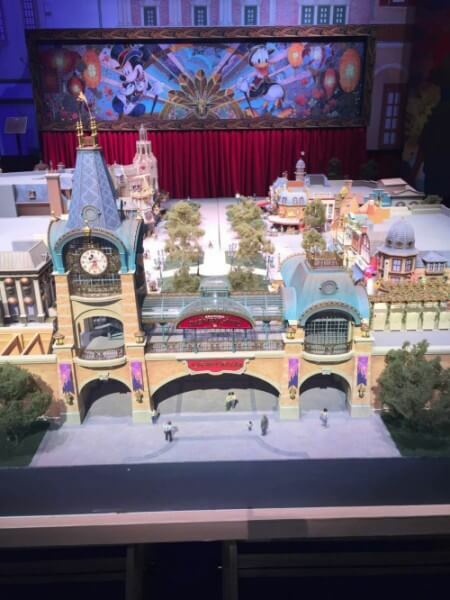 Shanghai Disney Resort will also feature Shanghai Disneyland Hotel and Toy Story Hotel along with Disneytown, an international shopping, dining and entertainment district including the Walt Disney Grand Theatre, home to the first-ever Mandarin production of the Broadway hit Disney’s THE LION KING. GREAT GOOGLY MOOGLY this looks incredible!! I’m going to Tokyo in April I wonder if I need to extend my trip? “Mickey Mouse” may not be Main Street, but certainly, it very much appears to follow Disneyland’s Main Street USA in spirit, right down to the railroad station’s clock tower being on the left side of the station building rather than in the center (as it is in the Magic Kingdom). It also appears that there’s no railroad in the park, but the main entrance is certainly inspired by the Disneyland Railroad Main Street Station building. There honestly doesn’t seem to be much for rides. There is a lot of greenery which is wonderful. But not a whole heck of a lot so far. Will be exciting to see what else they have! I am very angry, to be honest. I am huge Disney fan and I fly down to Orlando twice a year for Disney World. Why is it that Singapore get’s an awesome Tomorrowland, plus the largest castle, when Disney should be updating their USA sites, as well as making them larger. They have 400 square miles of space and lot’s of area…enhance this country first, then go build elsewhere. Not to mention, I am steamed over their Adventure Land. We hardly have anything in our AL, so why don’t they give us some nice things. Plus, another American born and brought up company, outsources more jobs. Make our place HUGE and give us jobs. 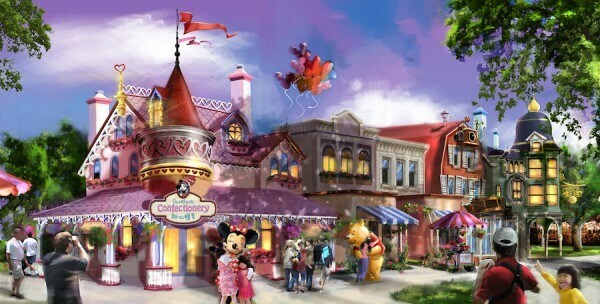 I think it is beautiful and WE deserve this update, as we are Disney’s cash cow. If it were not for us, they would not be racking in the money. I know that I am going to get bashed for this post. But, a family of five, cannot afford to fly to Singapore for a new and ‘cool’ park. I checked…$2200 a plane ticket x 5 = $11,000.00 and that is just plane tickets. Now add lodging, meals, gifts to take home, transportation…extra’s…We are looking at a $20,000.00 vacation. Walt Disney said that he wanted to make a wonderful park for families to enjoy. Which would have technology from decades in the future. AND…To be affordable for ALL families/citizens. How is this affordable for a family of five? Yeah, that’s what I thought. What an truly terrible comment this is! Firstly Walt Disney World have continually been overhauling it’s parks. 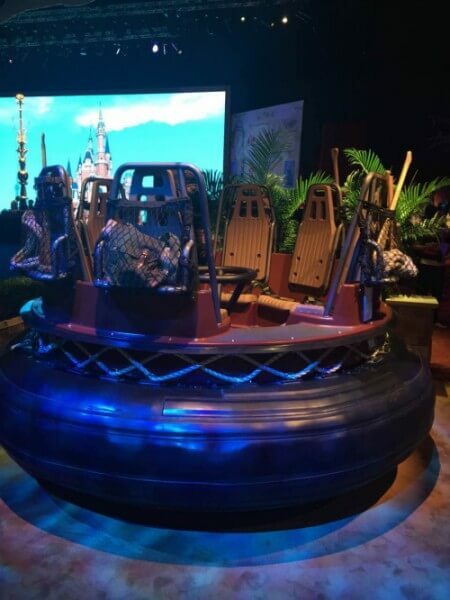 Magic Kingdom have recently expanded Fantasyland with new rides and attractions, Hollywood Studios is closing attractions left, right and centre ready to be renovated. Animal Kingdom are currently constructing Avatar land (which looks amazing). Not to mention the My Magic Plus service that is in operation across the whole resort, which to my knowledge none of the other Disney parks across the world currently have. You make it sound like WDW haven’t updated anything since it opened in ’70s!! 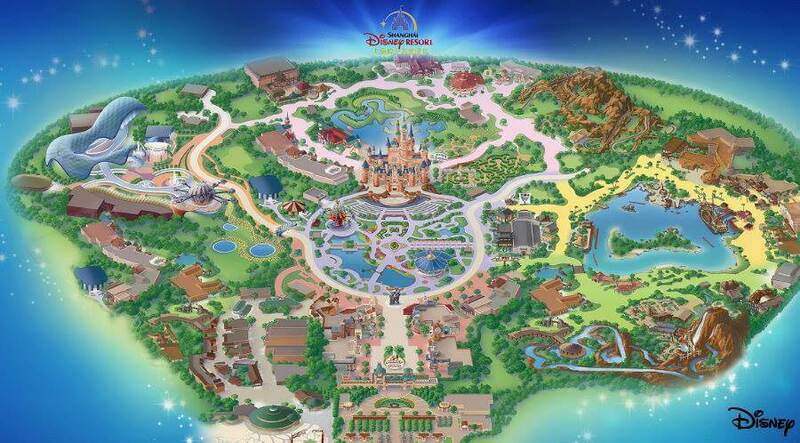 Secondly the whole Walt Disney World Resort is huge compared to this. This will only be a small resort like Disneyland. 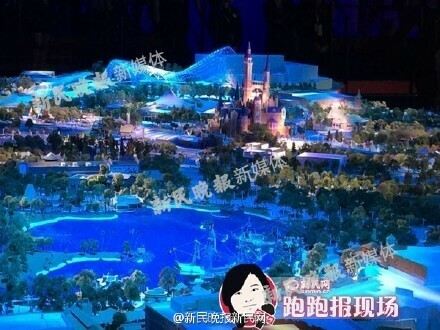 Also there are worldwide Disney fans who can’t afford to fly to the US to visit Disneyland or WDW, that’s why they make parks in Europe, China, Japan so everyone can experience it. Why can’t you just be happy with what you’ve got? It’s not all about the US you know!!! You say that America is the ‘cash cow’ for the Walt Disney Company? Sure the revenue from the US alone must be huge but without the global success/income over the years, Disney wouldn’t be what it is today. Finally it’s in Shanghai not Singapore!!! Well, it’s not a “terrible comment,” as the Disney shill says, but it is a sad one. Disney is simply following the money, kowtowing to the dragon. 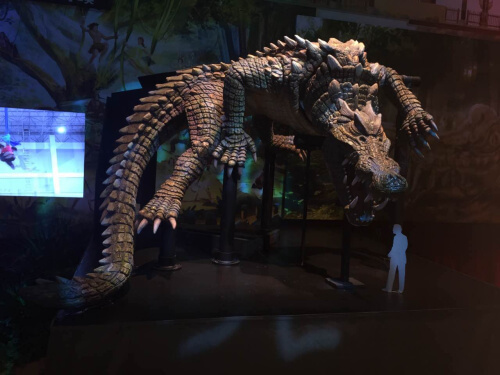 US parks have fallen along with theUS into Second Empire; Disney has put the US parks on the side burner to develop other cash-cow properties, while merely treading water with the “western” parks. I’m sure Disney execs never thought any significant percentage of Americans would ever attend these Asian attractions, they’re too far away, their US currency too devalued. Walt is long gone, folks. Disney is a big, insensate corporation that looks to the bottom line along with every other zaibatsu. Don’t expect sweetness and light from such a structure. What no Haunted Mansion? Well, I’ll go anyway. Hello blogger, do you monetize your insidethemagic.net ?